If You Get Rich While You’re Young, You Can Have A Blast Growing Old! Are you so busy trying to make a living that you aren’t making any real money? Most people spend their entire life working for money, only to wind up old and broke. If you depend on a “job” for your income, then you need to learn what financially successful people do…make your money work for you. This book shows you how to work smart by doing a little work one time, and getting paid for a long time. Taking The Mystery Out Of Money is loaded with case histories, examples and money-making ideas to help you understand money & financing so you can reach your financial goals. Making money is easy…if you know how. · How Many Doubles Do You Have? · How Much Does That New Car Really Cost? · New Car Or ROTH IRA? · Money Is Not The Problem. · Is Being Poor Heredity? · Job Security Or Financial Security? · Who’s Planning Your Retirement? Order Your Copy NOW & Learn How To Fire Your Boss! And why not have a copy sent to that special friend or family member so they too can learn how to become financially independent? It could be the best gift you ever gave. Want it right now? Download the E-book (and save $15.00 too)! Did you ever stop and think just how many things in our lives are either directly, or indirectly, affected by money? Or how few things we can do that doesn’t require money? Take a minute and think about it. How many things did you do last week, and how many things will you do this week that won’t require money? Kind of scary, huh? Yet, the majority of the people in this country will never make a serious effort to learn and understand how money works. 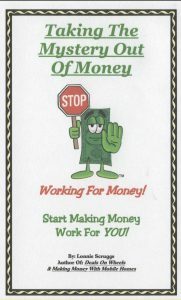 Everybody wants to make money, but very few will make a real effort to learn even the basic concepts of money. If you don’t learn to understand money, respect money, and value money, how can you expect to ever have any? 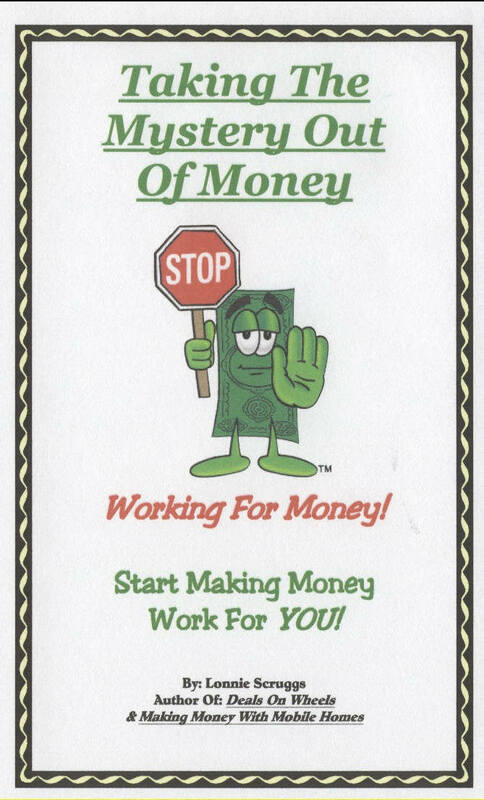 Since we have to deal with money every day of our lives, wouldn’t you think the schools would make a more serious effort to teach their students something about how money works? They spend 12 years teaching you how to prepare for a job, and how to work for money, but nothing about how money can work for you. And that’s the real key to reaching financial security. What does “cash flow” mean to you? Working a job for a paycheck? A check from a rental property? Dividends from a mutual fund? Earnings from a saving account? A check from some type of investment? A Social Security check? A retirement check from working 40 years on a job? All of these produce cash flow, but what you should be concerned with is the type of cash flow each check represents. And, just how much of your time and labor is required to produce that cash flow. Does your cash flow come from using your time and labor, or from using your specialized skills and knowledge to obligate somebody else to use their time and their labor? If you’re unable to get out of bed next week, would any checks show up in your mail box? If so, would they be enough to pay your bills? Or, would you have to put in 40-60 hours on a job? If you create enough Mail Box Money, you don’t have to work a job. If you ever expect to be financially independent, and enjoy financial freedom, you must understand the different types of cash flow, and what’s involved in producing that cash flow. And the first thing you need to learn is how to create positive and passive cash flow that doesn’t require you to be there. You need to have something working for you, instead of you…something that will pay the rent and put groceries on your table if you’re unable to work. Contrary to what the schools teach, getting a good education, and a good job, with good retirement benefits, just won’t cut it. What you learned in school is one thing, financial education is quite another. How many rich school teachers and professors do you know? Most students will be just as financially illiterate when they graduate from school, as when they started. And the majority of them will become trapped in low paying jobs and never learn how to do any better. Even more frightening is the fact that the majority of the workers in this country will reach retirement age and still need to work a job, or receive financial help in order to live a decent life. If you have doubts, just look around you. Do you really think that 60 year old waitress who’s working for tips, is working because she enjoys it? Do you think those “senior citizens” who greet you when you walk into Wal-Mart are there because they don’t have anything better to do? Or because they just like to meet people? If you don’t want to be one of them, then let’s get real, because you have some serious choices to make. It’s time for you to decide whether you want to be like that waitress, or retire with financial security. If you’re tired of working for a paycheck that’s too small to keep up with your expenses, your needs, and your wants, then it’s time to make some changes. Let’s say you’re 30 years old and your goal is to retire at age 60 with enough income that you won’t need a part-time job, or any outside financial help. You have 30 years to reach your goals. What’s your retirement plan? Do you even have one? If so, who’s in charge? Is it you, or some “financial planner”? Maybe you expect Social Security to do it? (If it’s still around). Or maybe you’re counting on one of those “Government Gimmee” programs. That’s enough of those silly ideas, so let’s get down to some serious planning. If you expect to retire with financial security, then it’s up to you to design and implement a sensible and solid retirement plan that will fit your particular situation. And don’t be misled by those financial consultants and financial advisors who try to convince you that they can do a better job of managing your money than you can. (Wouldn’t it be interesting to see their financial statement?). You need to realize that nobody is going to look out for your financial well being like you will. So it’s up to you to design your own plan that will ensure that you reach your financial goals. Otherwise, you might very well be taking orders for Big Macs or pushing carts in Wal-Mart when you’re 60 years old. fully understand the lessons outlined in this chapter. If you will learn, understand, and implement the awesome power of compounding of interest, you can become rich beyond your wildest dreams. Suppose you had the chance to double your money in 10 years, would you consider that a good return? Hold on, don’t be too quick with your answer. Before you can give a qualified answer, you would need to first know what rate of interest you would be earning. Do you know? If not, don’t feel bad. Unless you’ve studied money and compounding of interest, you probably wouldn’t know. But you will from now on. You’re about to learn a very simple little rule that will enable you to answer such questions in seconds. And you won’t need a calculator to do it. TAKING THE MYSTERY OUT OF MONEY E-book. $19.95 Immediate Download! And be sure to get Lonnie’s companion books Deals On Wheels and Making Money With Mobile Homes. NOTICE: The Paper Source, Inc. is the copyright holder in partnership with the author for this digital product. Therefore, the download file is a copyrighted authorized version for sale and distribution. You are purchasing this digital product for individual use only. You are prohibited from distributing this document in any manner, including electronically, under the Digital Millenium Copyright Act PL 105-304, 112 Stat. 2860 (Oct. 28, 1998).